Goodreads says, "Jane is a young New York woman who can never seem to find the right man—perhaps because of her secret obsession with Mr. Darcy, as played by Colin Firth in the BBC adaptation of Pride and Prejudice. When a wealthy relative bequeaths her a trip to an English resort catering to Austen-obsessed women, however, Jane’s fantasies of meeting the perfect Regency-era gentleman suddenly become more real than she ever could have imagined. Is this total immersion in a fake Austenland enough to make Jane kick the Austen obsession for good, or could all her dreams actually culminate in a Mr. Darcy of her own?" Jane finds something wrong with all the guys she dates because they aren't as perfect as fictional Mr. Darcy from Jane Austen's classic, Pride and Prejudice. She is obsessed with the character of Mr. Darcy, especially the BBC version played by Colin Firth. Her Great-Aunt Carolyn recognizes this obsession and how it's holding her back from finding happiness in her own life. In turn, she leaves Jane something in her will: a three week vacation to Pembrook Park, a resort where vacationers live like it's Jane Austen's England. This means she must wear clothing approrpiate to the time period, she must act appropriately and on top of it, no cell phones, computers, etc! When Jane first arrives, she is given her new Regency England name, Mrs. Jane Erstwhile. As the days go on, she realizes that not only is she "living" in Regency England, but many an Austen novel is unfolding before her eyes. Jane recognizes that this is harmless fun as all the people present, except for the other guests, are merely actors, paid to act a certain way towards her. This irritates Jane and in turn, she falls into the hands of Martin, the gardner, which is downright scandalous. She likes that things are real with him as they spend most of their time watching basketball and drinking root beer as opposed to discussing the weather and playing card games with the other house guests. However, one gentleman catches her eye, Mr. Nobley. In the back of her mind though, she can't help but feel confused as he is just an actor. Or is he? 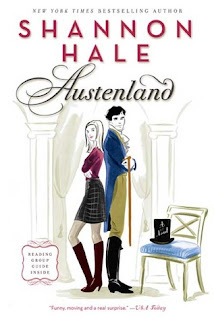 Shannon Hale's Austenland is pure mind candy for fans of Jane Austen. Jane is such a fun character in Austenland. I liked her obsession with all things Austen and reading about her daily adventures at Pembrook Park. Although I didn't always agree with her choices, she was definitely a character that had me laughing out loud and shaking my head in disbelief. Right there along with her I could feel her confusion with the gentlemen. I would find it embarrassing as well to take part in such a farce, but at the same time, wouldn't it be fun to interact with Mr. Darcy? There are many twists and turns in Austenland and I didn't see one of the big twists coming, which took me by surprise. Even though this novel seems like mindless fun, there are a few twists and turns that keep the reader entertained. What I like about Austenland is the fact that it has cross over appeal to young adults. Hale, originally a young adult author, won the Newbery Honor for her novel, Princess Academy. I think many teen girls interested in Jane Austen would like this modern twist. If you are an Austen fan and are looking for a modern adaptation, I recommend Austenland; however, be forewarned that this is campy, chick-lit fun at its finest. It's a light read that would be perfect for reading poolside or at the beach this summer. Plus, Austenland is coming to the big screen and Keri Russell will be playing Jane, which I think is perfect! Campy is a great word. I really dug book two but have yet to pick this one up. I can't wait for the movie! I know, right? Love that word. 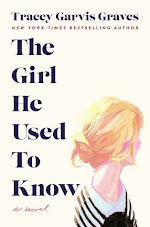 :) I remember that you read and liked book two. I will have to check that one out. I can't wait for the movie as well. I love Keri Russell and I heard Jane Seymour is in it, too! Thanks for visiting, Juju! I have been meaning to read Austenland for ages!! I picked up the book when it was a Kindle Daily Deal, but still haven't gotten around to it. I love Shannon Hale, and I sure as heck love Mr. Darcy, so I don't know why I'm dragging my feet. I'm excited for the movie, too, btw. Me too. I finally dusted it off and I am so glad I did. It was such a fun read and if you love Shannon Hale and Darcy, you will definitely be entertained by this book. I hope you get to read it soon! Thanks for stopping by, Quinn! I didn't see the big twist either, which definitely made the book a bit more interesting. I will have to check out the second book. 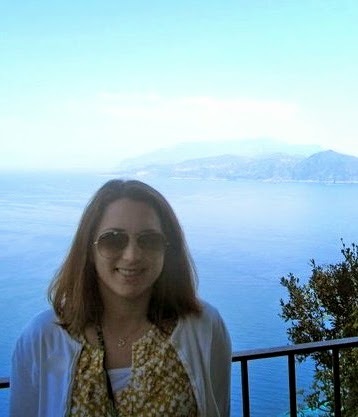 Thanks for visiting, Andrea! Ps: I see that you are reading the Red Umbrella. I really want to read it too, especially because the setting/location is Cuba. I can't wait to read your review & I hope the book is awesome!! It's definitely fun and worth looking into if you are a fan of Austen. It won't blow your mind, but it will make you laugh and keep you entertained. I just started the Red Umbrella and am really liking it so far. The setting of Cuba is sooo fascinating. Thanks for visiting, Nina! I'm kind of nervous when it comes to P&P modern related books. The ones I've read were too corny, but I'm willing to try this.